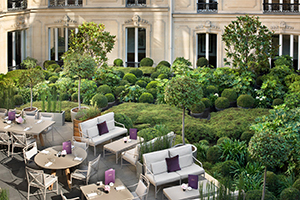 Completely renovated, legendary Hotel Barrière Le Fouquet’s is just a short distance from the Arc de Triomphe, between Avenue George V and the Champs-Elysées, and provides the perfect setting for a quintessential Parisian experience. Unwind in the intimacy of a charming garden, treat yourself to an energizing treatment or dive into the clear waters of the indoor pool, sample flavors at legendary tables, and enjoy delicate fabrics and precious leathers, vast dressing rooms and spacious bathrooms characterize the small Parisian apartments and spectacular suites on the Champs-Elysées. 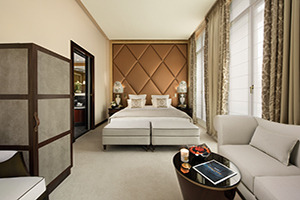 Located on the Champs-Elysées, only steps from Paris’ most iconic landmarks, including the Arc de Triomphe. 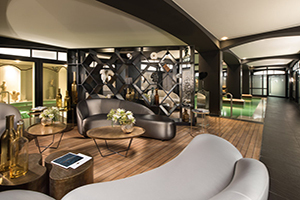 Accommodations decorated by French designer Jacques Garcia in a contemporary style, and at the cutting edge of technology with complimentary mini-bar filled with non-alcoholic beverages; additional rooms and Signature suites will open by the end of 2018. 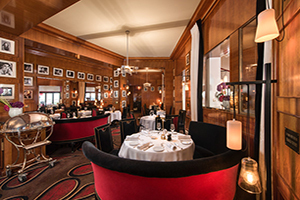 2 restaurants including legendary Fouquet’s, offering a menu created in collaboration with Pierre Gagnaire. Spa Diane Barrière is an oasis dedicated to beauty and relaxation utilizing the expertise of Kos Paris. Personalized service “a la francaise,” including 24/7 butler and concierge service. 91 rooms and suites with a double-sink in each bathroom. Complimentary mini-bars in rooms and suites filled with non-alcoholic beverages. 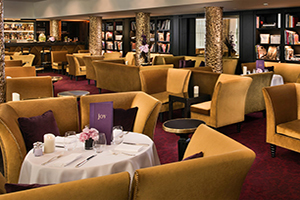 Le Joy restaurants opens onto a beautiful inner garden, perfect for enjoying a snack or light meal. Spa Diane Barrière features 5 treatments rooms, a cryotherapy booth, swimming pool, sauna, steam room and fitness center. 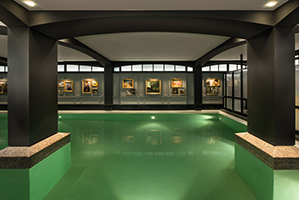 50 foot indoor pool located within the Spa Diane Barrière complete with an Aqua Circuit. 24/7 butler and concierge services. Rooftop events terrace available only during the summer. Home to an exclusive collection of fragrances “By Fouquet’s,” olfactory Signature of Le Fouquet’s. 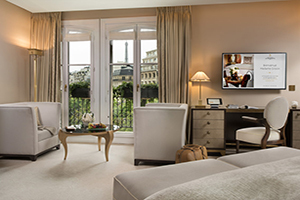 Located within close proximity to famous monuments and landmarks to discover the art and history of Paris.